Lane starts with the uses of emeralds among indigenous populations in pre-Hispanic Colombia. He relies on conquest writings and the work of anthropologists and archaeologists in order to grasp the ritual use and divine connotations of emeralds among the Muisca and other native populations. The Spanish conquest of the territories of the Muzo Indians started an era of uninterrupted mining activity. The original inhabitants of regions around Andean emerald deposits were miners and African slaves. Emeralds were soon incorporated into a small but significant gem market in Spain and its colonies. The stones were frequently found in elite women’s dowries and jewelled religious artifacts. As with other gemstones, emeralds were mostly traded secretly, and the profits were mainly reinvested in enslaved Africans. 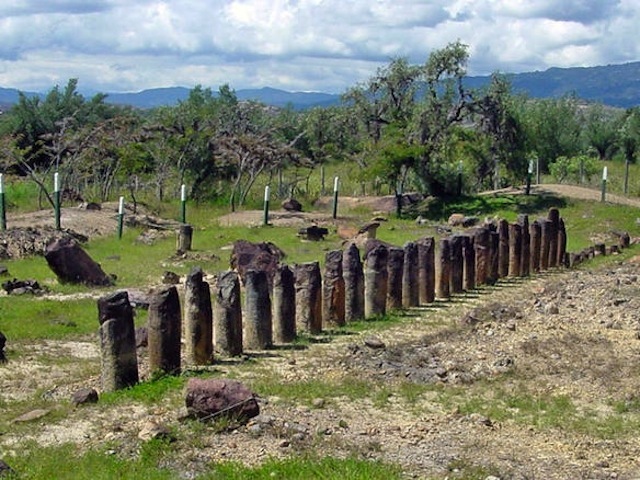 Ruins of an ancient Muisca temple at El Infiernito (the little hell) near Villa de Leyva. 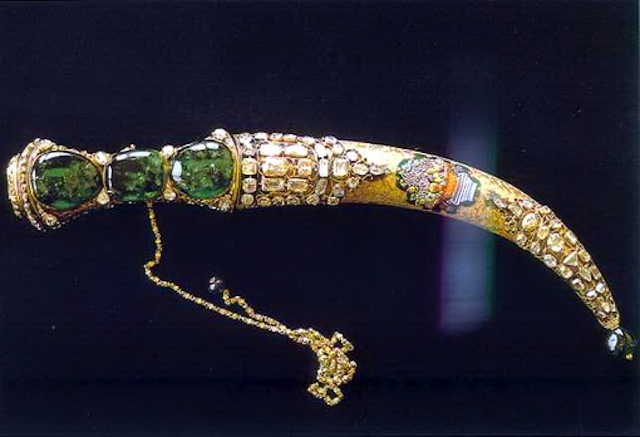 Topkapi emerald dagger, held in the Museum Palace Nadir Shah. Going back to the local context of Muzo, Lane identifies cycles of boom and bust in emerald extraction. By the second half of the seventeenth century, the emeralds of Colombia kept fueling contraband trade networks hidden in slave ships and specie cargo. Ships manifests’ and objects recovered from shipwrecks speak of a significant number of Colombian emeralds traveling to Curacao and Jamaica, and to Amsterdam and London. 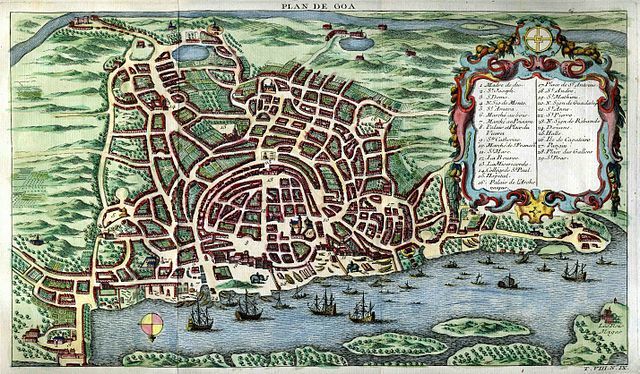 After a decline in production during the early eighteenth century, the Spanish Monarchy sponsored a series of mining missions with European experts to the colonies. The missions in Muzo attempted to increase emerald production but failed to deliver significant improvement. 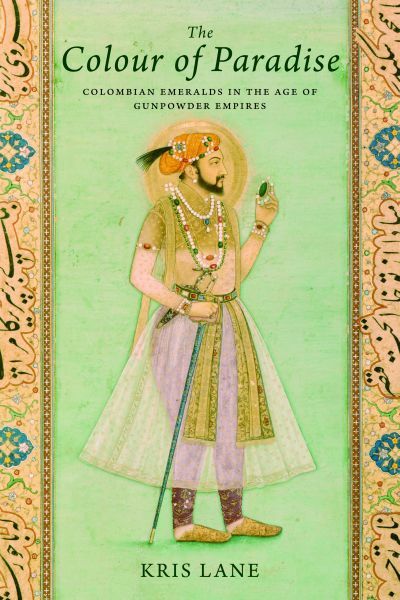 The eighteenth century also saw the extinction of the Safavid Dynasty in Persia and the fall of the Mughal Empire in India, which according to Lane, affected the global emerald trade to an unknown extent. 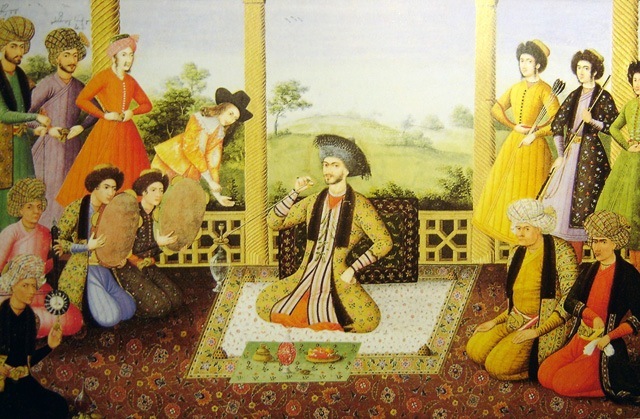 Shah Suleiman I and his courtiers, Isfahan, 1670. Painter is Aliquli Jabbadar. 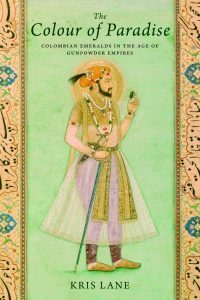 Unlike the scale and scope of early modern commodity chains of spices, textiles, and precious metals, Lane recognizes that emerald production was not “globally transformative.” Nonetheless, a very special type of commodity chain marked the shifting cultural and political meaning of the gem. 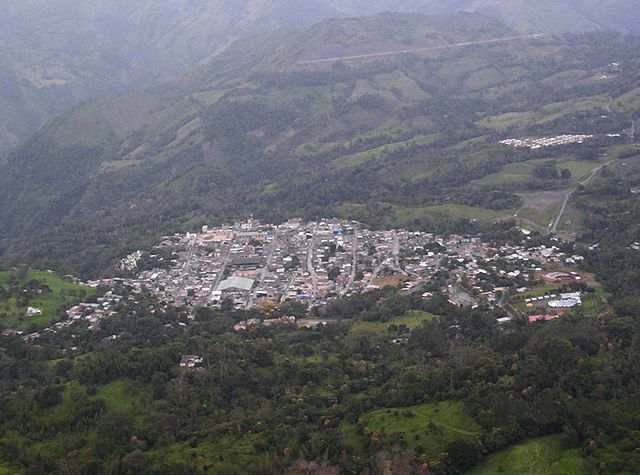 An isolated peripheral mining region under Spanish colonialism produced a gem that merchants traded in very small quantities to satisfy the desires of Asian despots. In narrating how the emerald became a global gem, Lane not only sheds light on early modern globalization patterns. Moving from Colombia to Europe, and then to Asia, and back to Colombia, Colour of Paradise devotes careful attention to the communities of miners, merchants, stonecutters, diplomats, kings, and sultans. Lane successfully blends a history of early modern globalization with an unconventional yet refreshing approach to colonial Latin American history. Colombian emerald mines have been active now for hundreds of years producing the finest gemstones of the world. The extraction of emeralds, however, has been marked by a bloody war among the families that operate the mines and illegal armed actors disputing the control of the so-called “green gold.” Despite this situation, the miners of Muzo dig every day at 590 ft. underground while guaqueros search for the precious stone amid the waste from the mines. On the corner of 7th Street and Jimenez Avenue in downtown Bogota, a number of men stand for hours trading emeralds. Buyers from Japan, Europe, and the United States arrive in the city looking for the gems, and Colombian emeralds continue to fuel global demand for the precious stones. Jorge Esguerra-Cañizares discusses his book Puritan Conquistadors: Iberianizing the Atlantic, 1550-170 (Stanford University Press, 2006) on Not Even Past.